I suffer from a bad case of the elevenses (or hunger at any time) and when I was sent some go ahead snacks to try I was super excited to pop them in my handbag to eat on the go or at work. I am a snack-a-holic (self confessed) so it didn’t take me too long to try the range. It was tough deciding which one to start with as I was spoilt with so much choice! go ahead truly have scrumptious snacks such as cookie bites, which come in white chocolate and raspberry, and chocolate and orange. The chocolate and orange is a dreamy combination and definitely a favourite handbag staple for me. They also have pud bakes, which are in a cherry bakewell flavour. This is literally a pudding on the go and it is so soft and yummy. Next up is yogurt breaks, which come in forest fruit, strawberry, raspberry, red cherry and totally tropical. These are biscuits with fruit fillings and utterly moreish. Great with coffee/tea at breakfast time too. Crispy slices are light, crispy biscuits which have a fruit filling also great for snack o’clock whatever time that may be! They come in apple, forest fruit, orange, red cherry, blissful blueberry, strawberry and raspberry. I am an apple-a-holic so this was my favourite. Finally, they have fruity bakes, which are golden baked bars filled with a fruit filling. These come in apple and strawberry. Apart from the fact that they all sound like dessert, the best thing is they taste like dessert too and are so delicious. They are just the right size to munch on, packed in a very convenient and clever way and are healthier than other snacks too – so guilt free treats galore! They all tasted really good but if I had to choose favourites they would be the chocolate and orange cookie bites because chocolate and orange just taste amazing! A second favourite would be the apple crispy slices – these were just so yum! Amit liked the pud bakes a lot and these were his favourites. The boxes are rather cute too – really enjoyed reading the information on them. 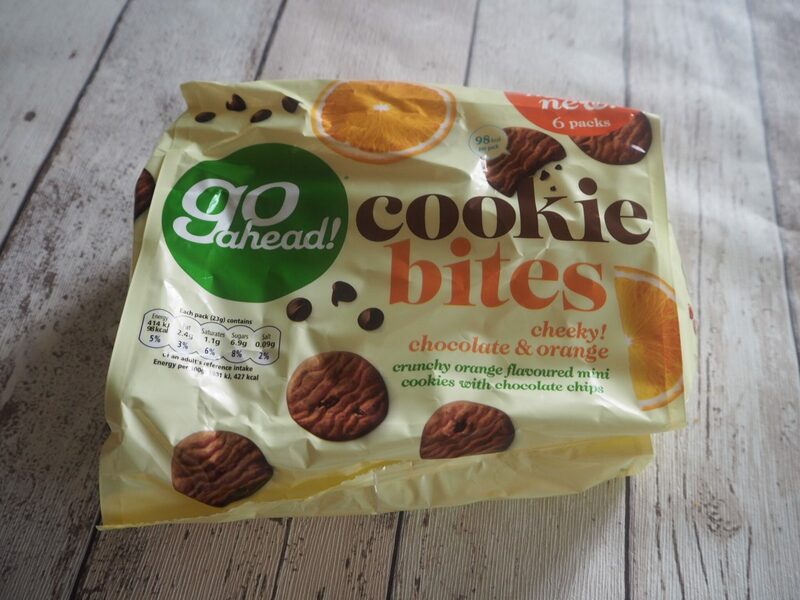 Definitely recommend go ahead for healthier treats either on the go, to take to work, to pack in the kids lunch bags, or to enjoy at home with a nice cuppa! Love the fact that they have fruit filling and they taste refreshing whenever you get a little taster of the fruit. Next Post 5 amazing restaurants around the world!